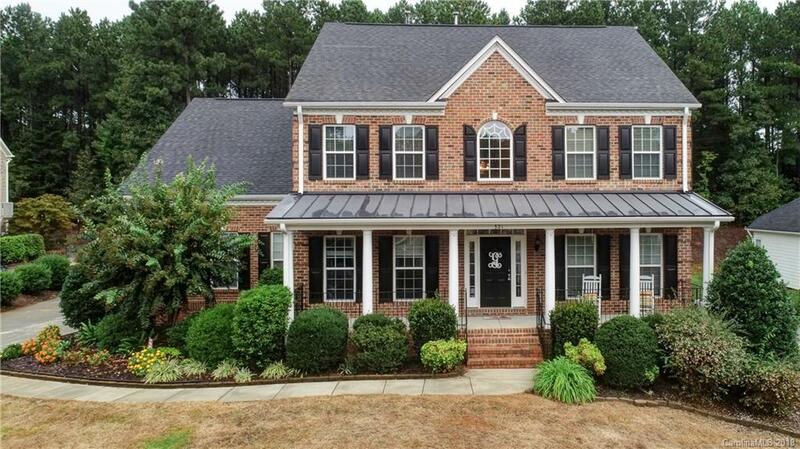 Beautiful home in the desirable Stonewater neighborhood is perfectly situated on a gentle hill! Enjoy the view from your large covered front porch, perfect spot to relax! Lot is almost 1/2 acre w level fenced backyard with lots of green trees behind for privacy. Impressive 2 story entrance with wood floors, open staircase and a view of the stone fireplace with floor to ceiling windows on both sides in the great room. Open concept allows you to enjoy the great room, kitchen and keeping room while entertaining! Large deck for grilling and socializing. Kitchen with huge center island, granite, stainless appliances, corner sink w double windows, pantry, eat at bar and more! Master suite w tray ceiling is spacious and private with 2 walk in closets and a spa like bath with separate soaker tub/shower. You will love your new life style! The community has lake access, playground, tennis courts, pool and walking trails.